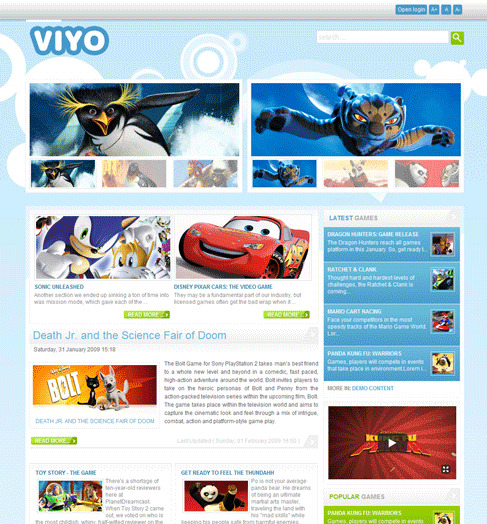 GK VIYO - stylish template multimedia portal from the developers of GavickPro. Modern design layout is presented in bright colors that are ideal for creating professional online cinema or video files directory. In the demo package includes the best studio expansion, which will allow a very flexible and visualize all the information users of the site. This template is perfectly optimized, supports progressive download images as you scroll the site in the browser and contains comfortable commenting code.